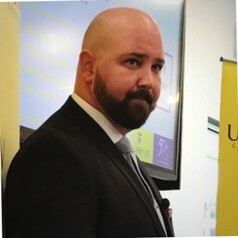 Adam P. Henry is an Adjunct Lecturer at UNSW Canberra Cyber, Co-Lead of the Australian Chapter for the Cybersecurity Workforce Alliance (CWA) and Director at Henry Strategic. He is a cybersecurity education, skills and workforce development expert. Adam has spoken at major conferences in Australia and abroad, including the Australian Cyber Security Centre (ACSC) Conference, the Canadian CyberNB International Cyber Workforce Development Summit. He is also speaking at the Australian Cyber Security in Government Conference on Cyber Workforce - Closing the Skills Gaps. Previously Adam presented at the Australian Centre for Cyber Security (ACCS) International Conference: Realigning Cybersecurity Education – Mastering the Cybersecurity Skills Crisis: Realigning Educational Outcomes to Industry Requirements in 2017. He also wrote a piece in the Australian Financial Review, Growing a Cyber Security Workforce at Home published on the 6th November 2017. He has collaborated with stakeholders to prudently leverage technology to transform and simplify business processes while delivering significant policy initiatives and implementation. He has a Bachelor of Business Informatics from the University of Canberra, a Master of Business Administration from Curtin University and a Master of Cyber Security, Strategy and Diplomacy from UNSW Canberra. He has extensive experience in digital and cyber leadership and transformation, developing, leading and executing technology business solutions and strategies.